I’m in love with this hat pattern. The pattern calls for cashmere but I’m trying Cobasi-cotton, bamboo, silk. It’s working out great. 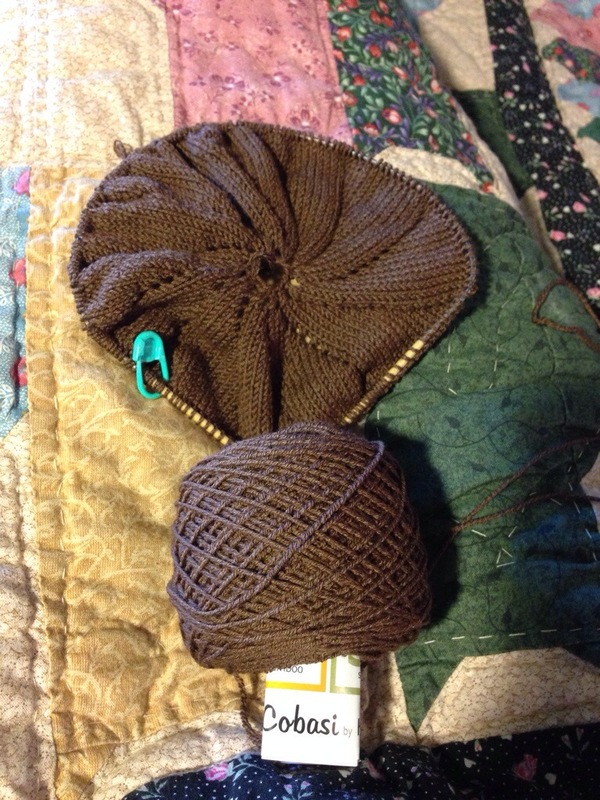 The pattern is called Osmena and it is by Jenn Jarvis (nipperknits.com).